Every company should have proper succession planning in place. Companies should have a deep pool of internal candidates. There should be a continuous process of update and refinement of the talent pool. If you don't have proper succession planning and decide to hire candidates from an external pool, then you stand the chance of losing the best internal candidates; you might be overlooking the best internal options. Internal or external, job hiring is a multi-faceted process, and requires due considerations. In any case, having a succession planning regime always helps. Here is a chart to guide you on how to go about succession planning for corporate posts. 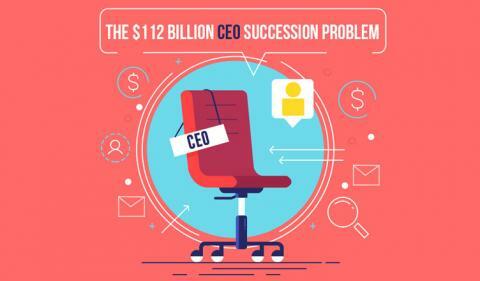 DavittCorporatePartners created this infographic to further elaborate on why it pays to have a CEO succession plan in place. The graphic’s goal is to demonstrate the value a succession plan will provide your company. David Keane is the director of Davitt Corporate Partners, Ireland’s leading organisational psychology consultancy. Established in 1999 by Adrienne Davitt, who is the current MD, their highly skilled and dedicated team work across all industry sectors from niche clients to start ups, to Ireland’s major organizations and some of the largest organizations in the world.